I thought I had seen it all… the Curva Sud marring Maldini’s farewell forever… fans surrounding both Milan’s and Genoa’s busses and then threatening our players with sticks… the ridiculously excessive abuse of Montolivo by fans who don’t even know why they hate him, they’re just parroting what everyone else is saying. But this takes the cake. Shoving a 24 year-old player’s parents and threatening and insulting him in a parking garage while they simply tried to go home? Why? Because of rumors. 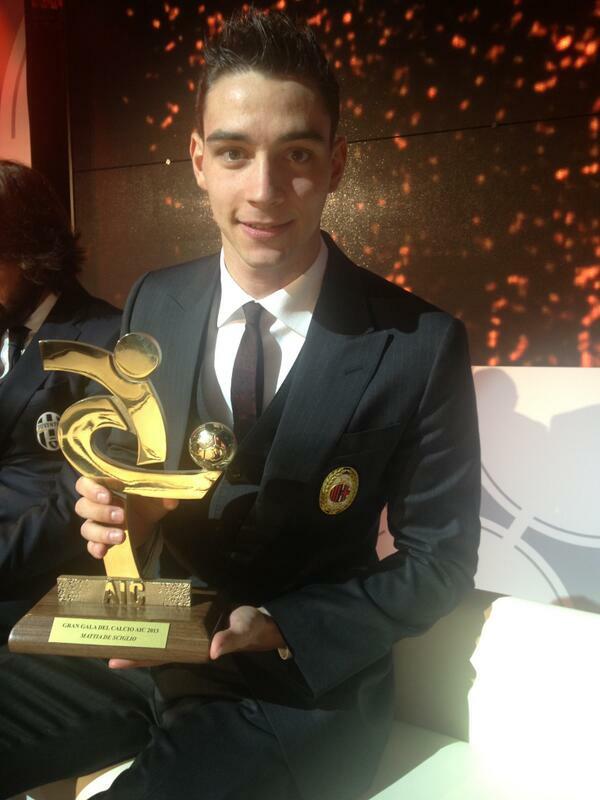 Two newspapers with absolutely no credibility reported that De Sciglio is going to Juventus. Like they’ve done for over a year now. The difference being, I guess, the takeover? I don’t know. What they did was so morally reprehensible. And yet the fact that they did it because of completely unfounded rumors… I don’t even know where to begin. De Sciglio has had an interesting career at Milan. He was the first youth player to be called up straight to the first team since Paolo Maldini. His early success and perhaps his playing position also caused people to compare him to the Milan legend, which perhaps led to the excessive criticism when he had some injuries and a bit of a psychological slump. Not even being awarded Serie A left back of the year in 2013 (although he is a natural right back) could stave off the critics. At his young age, one would think that all of that is hard enough to deal with. But then the rumors would begin. Every year, he would be linked to more clubs. Juventus have been after him for years. More so since Allegri moved there and has repeatedly and consistently asked for him. 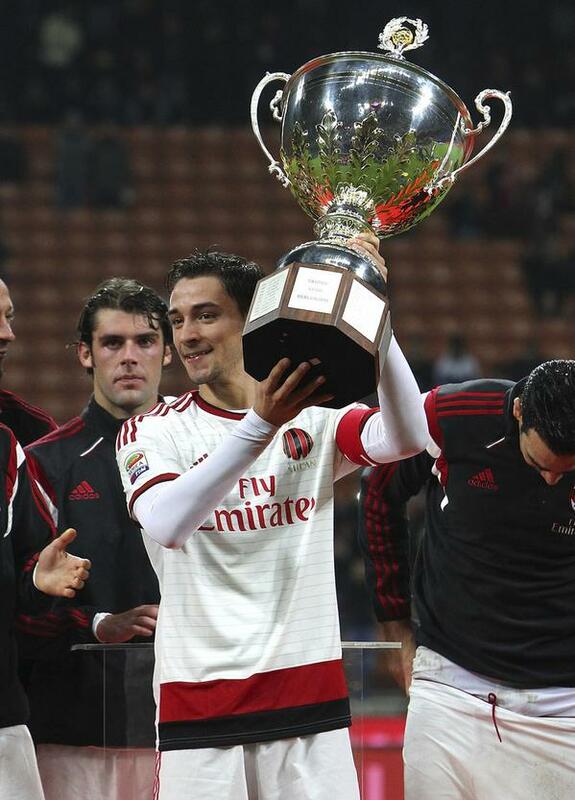 De Sciglio has been true to Milan for all five of the past years of decay and uncertainty within the club. Coming back stronger after injuries and fighting harder every time. His loyalty and dedication have earned him not only 108 appearances for Milan in the nearly six years since he was promoted, but also he has received 31 caps for the Italy national team in less than four years as well. So much turnover at Milan means that with almost six years in the senior squad, he is third in line to wear the captain’s armband. And I mean rightfully, not like Montolivo the Usurper™, who came to Milan a full year later than De Sciglio. But now these Milan “fans” are trying to take that away from him, too, using the hashtag online of “#LiberaLaFascia.” First of all, after that despicable assault on De Sciglio and his family, those people should be in jail. The rest of them are no better than the Ultra who insulted Maldini. In fact, they are worse, because they don’t even have the courage to say what they want in person, they are hiding behind their keyboards in their pathetic little basements. And all of this because of rumors. Freaking rumors. They’re not even waiting for actual news anymore. Literally nothing has been confirmed by the player, his agent, the club, or even reputable news sources. 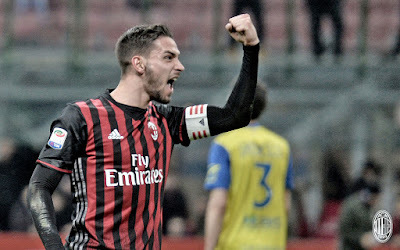 De Sciglio met with Mirabelli on Monday, where reports again put him exiting the club this summer. And after Sunday night, I can’t blame him. A product of our youth system, someone who could become a bandiera. He was quiet, didn’t party or cause problems in the squad or off the pitch. He’s lasted through more coaches than years he has played. His worst game was still better than the best game of so many players we’ve endured. He’s incredibly talented, still young, and his finest days are undoubtedly ahead of him. More right to the armband than even our "captain." He has also stayed long enough to see the sale of the club and to meet the new management and gauge whether or not it’s a project he wants to be a part of. If he had decided he doesn’t, then he’s not alone. Maldini also made that same decision, but no one sat around drinking and smoking in a carport late at night waiting to attack him. And he would have been a much more essential part of the club than just a single player. Even if it’s all true and he’s in talks with Juve or any other club, nothing can justify these Milan fans’ behavior. Nothing. Who died and made them the judge and jury of who is worthy to wear the armband? As if that’s not the most morally ironic question ever. Given their pathetic behavior based on an even more absurd premise, they should all be turned over to an actual judge and jury. If De Sciglio leaves, it will be as much their fault, if not more, than the player’s. Who knows what his original intentions were before being attacked this week? No one but him. That’s who. Which makes it that much more insane that they took to such lowlife actions. And for what? Was that supposed to make him stay at the club? 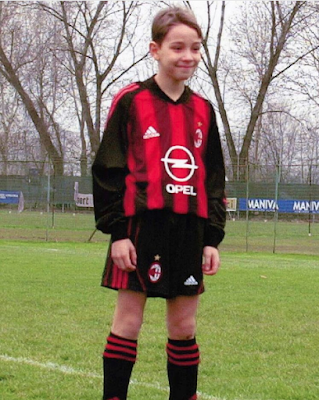 No matter what De Sciglio decides, I have nothing but respect for him, especially for all he’s endured. It would be a crime if he leaves, he won't be easy to replace. But the real dilemma is how to deal with these deplorable delinquent “fans” both online and in the carport. Because Milan will never be a successful club again with losers like that imposing their own depraved sense of justice on our players. Especially when their assumptions are based on fiction. That is the De Sciglio dilemma.